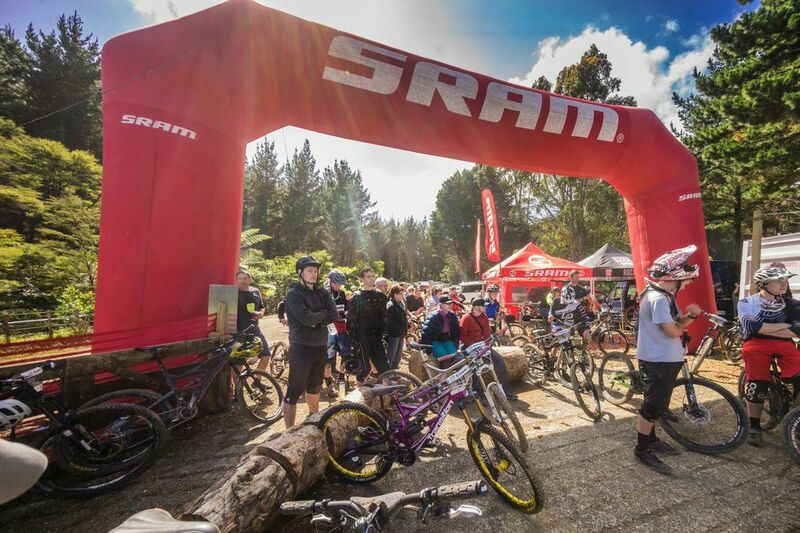 After the success of their first ever race event back in November, Fourforty Bike Park are set to throw down the second round of their summer enduro races on the 24/25th Jan. Everyone who hit the last event will attest to the fact that these events are super fun, and cater for all levels of rider regardless of age. The youngest rider at the last race was 12 (see below), with the oldest being over 60! Make a weekend of it - stay at the Orere Point Camp Ground, swim in the sea, ride all day Saturday, hit the Clevedon Hotel for dinner and a pint (race entrants get a deal) then pin it to win it on Sunday. It's Auckland anniversary weekend so may as well stick around for some runs on Monday too! The first race in November was a huge success and we are looking at an even bigger event for January with more stages and a heap more cash and spot prizes. Our major prizes are a Gian Reign 2, a Rockshox Reverb seat post and a set of SRAM Guide brakes. Official practice day. From 9.30am - 4pm. All stages will be fully marked out for practice. (We will also be operating as per normal this day if you're just wanting to come and ride). You can collect your race plate and transponder plus shuttle card at race registration. We also have special meal and beer deal at the Clevedon pub from 4pm, head there straight from practice!